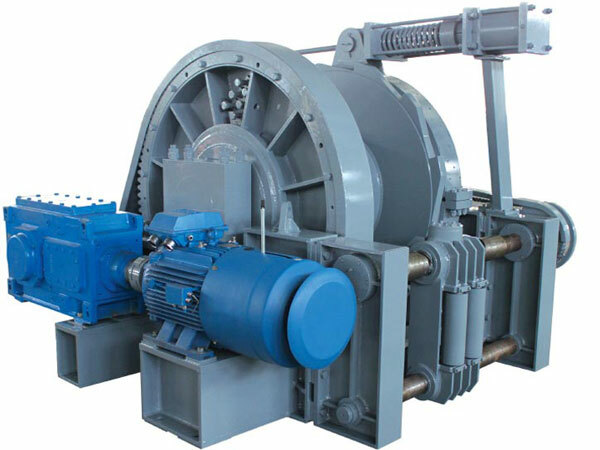 Electric tugger winch is powered by single or double speed electric motor or variable frequency drive, which drives the main shaft after reducing speed through reducing mechanism. 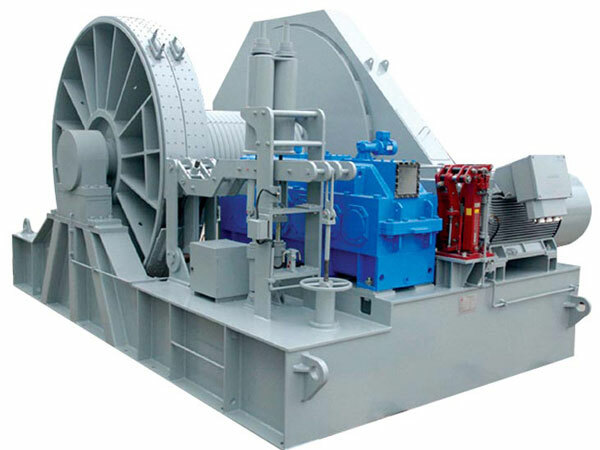 It is used for towing or pulling operations installed on deck of offshore vessels. The local control is generally set adjacent to the winch, and a remote control or wired-controller in the wheelhouse is also available as an option. 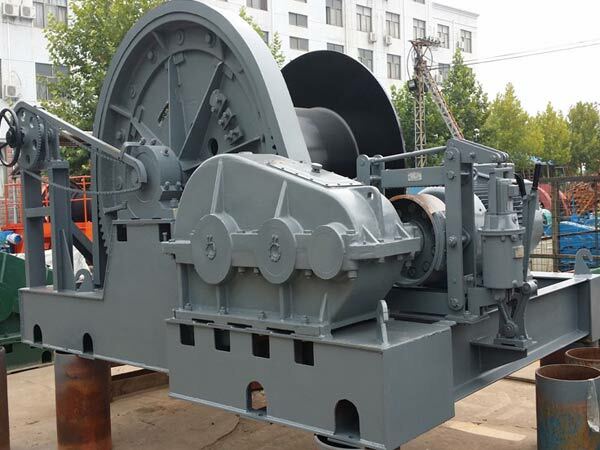 There are mainly three drive types for the tugger winch, and they are electric motor, hydraulic pump drive and diesel engine. 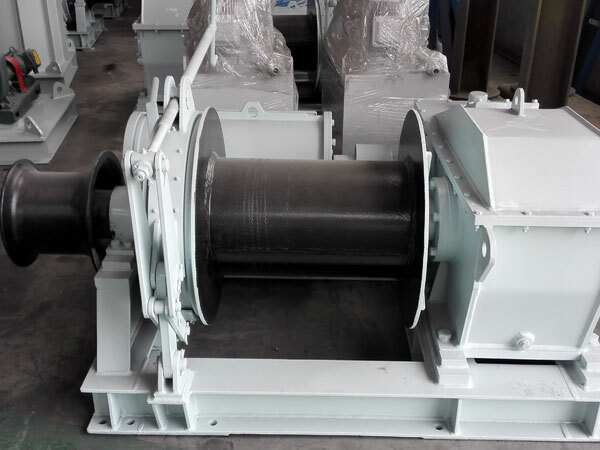 Drum brake also know as towing brake for the electric tugger winch should be set, and it should support 2.5 times maximum bollard pull load under the circumstance of the prime mover without torque, and its minimum value should not be less than the specified breaking pull of the wire rope. 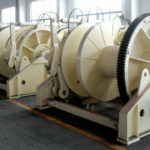 The drum diameter should not be less than 16 times that of design reference wire rope. 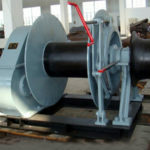 The drum bottom should hold 50m wire rope at least, if non intentional brake slip happens during towing operations, there should be enough wire rope friction and sufficient rope to release. 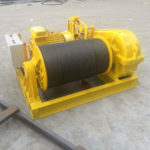 Electric tugger winch is placed on tug boat for towing operations, it can be designed with one, two or even more drums according to clients’ requirements, one or two warping heads and gypsy wheel are optional on request, if chain is used on tug boat for towing winch, then one or two chain wheels will be needed on the tow winch. 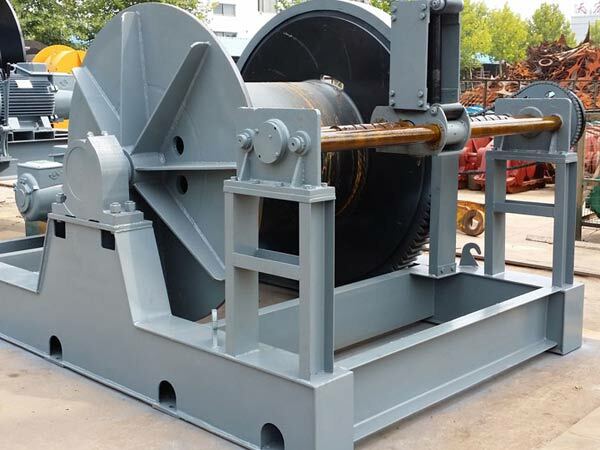 For some tugger winch with double drums, generally one drum can be used for towing operations and the other one can be used for anchoring or mooring. 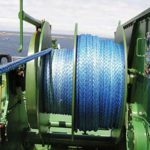 As one of the important marine towing equipment, electric, hydraulic and combined tugger winches are widely used on offshore ships for towing, pulling, dragging and other operations. 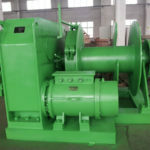 As a professional electric tugger winch supplier, Ellsen has provided many tug windlasses for customers coming from different countries and regions, and they have been satisfied with our products and service, and some of them have cooperated with us more than once. 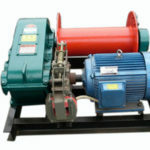 You can click to visit our websites and contact us for more information about electric towing winch for sale.